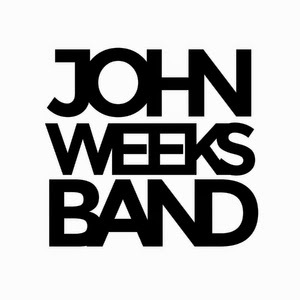 I just received the newest release, The John Weeks Band, by the John Weeks Band and it has a cool flavor. Opening with All Night, a laid back 12 bar number, Weeks on guitar and vocal, Andras "AC" Csapo on keys, Curtis Hawkins on bass and Tim "Chooch" Molinario on drums set the pace. Devil In My House has a bit more of a easy rock feel with Csapo on harp backing acoustic guitar and vocal by Weeks. Instrumental jump track Why Don't We Sleep On It, really kicks. Led by AC on harp and with a nice walking bass line by Hawkins, this track is built to spill. Weeks shows he knows his way up and down fretboard as he trades riffs with AC on harp. Very nice! How Can You Love Me settles down in a nice slow groove. Featuring cool organ work from AC, Weeks is back on lead vocal and quiet, steady guitar solo. I Want To Get Back Home has a definite rock beat with a taste of funk. AC steps up with fine lead harp work and Weeks plays some of his tastiest guitar riffs on the release. You Never Say What You Mean has a bluesy Latin feel, accented by Chooch's finesse on drums. AC takes a real nice organ ride on this track leading to a nice open solo from Weeks on guitar as well. Very nice! Wrapping the release is the funky Moving On. With Hawkins and Chooch setting the rhythm, Weeks lays down some of his nicest riffs and best tone on the release.